A big part of what Born-Free has always been about is showing what can be done if the desire & determination is there. We created this show with the idea of doing it all for free…free food,drink and entry…and we did it for the first 2 years! It’s been more than a challenge the last couple years with the tremendous growth & rising costs of the event but we have done our best (behind the scenes) to give you a great experience and a minimal cost. This year along with many new sponsors and vendors which we need and truly appreciate and have made the show what it is, Harley-Davidson has got involved with our little event and doing some special things for our invited builders and you! 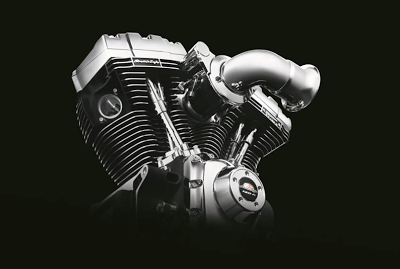 We are please to announce that the winner of the BF5 Builder Invite will receive a trip for 2 to The Harley-Davidson 110th Anniversary Party in Milwaukee later this summer and H-D in conjunction with Born-Free will award to someone at the show their new 120R Power Plant. This incredible opportunity will be given to someone who exemplifies the spirit of Born-Free and creativity to build a very special motorcycle for BF6. Born-Free is only 18 days away and we are still trying to add more fun and opportunities for all the attend the event. See you soon!! This entry was posted in Uncategorized and tagged born free freebies, Harley Davidson.